15 Minutes is a weekly interview podcast with the biggest names in the global security space. This week The Cipher Brief’s Executive Producer and Reporter Leone Lakhani talks to Steve Murphy, one of the DEA agents who was instrumental in bringing down Colombian drug lord Pablo Escobar. Murphy and his partner Javier Pena were depicted in the Netflix series Narcos, during their hunt for Escobar. In the second part of the interview, Leone asks Murphy what Escobar was really like, how they finally caught him, and the true story behind his death. Click here for Steve Murphy (Part I). 15 Minutes is a weekly interview podcast with the biggest names in the global security space. This week The Cipher Brief's Executive Producer and Reporter Leone Lakhani sits down with Ambassador Dennis Ross, Counselor at the Washington Institute for Near East Policy and a former senior Middle East Adviser to three U.S. Presidents. She talks to him about President Barack Obama’s legacy in the Middle East, and the challenges facing the next administration. 15 Minutes is a weekly interview podcast with the biggest names in the global security space. This week, in a post–election special, The Cipher Brief's Executive Producer and Reporter Leone Lakhani sits down with Jack Keane, retired four-star general and former Vice Chief of Army Staff. General Keane had been tapped for a potential position in Donald Trump’s national security team. Leone speaks to Keane after his meeting with the President-elect and asks him about his views on the transition team. 15 Minutes is a weekly interview podcast with the biggest names in the global security space. 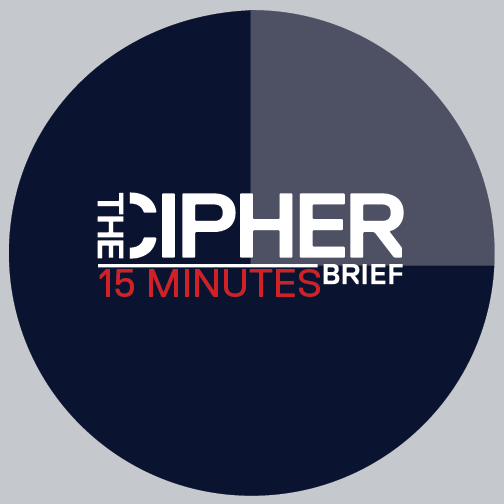 This week on 15 Minutes, The Cipher Brief’s Executive Editor Fionnuala Sweeney speaks to John McLaughlin, former Deputy Director and Acting Director CIA. On the agenda - why he joined the Agency, his view of the challenges facing the new administration. And a touch of magic. 15 Minutes is a weekly interview podcast with the biggest names in the global security space. 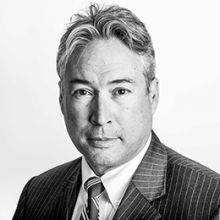 This week The Cipher Brief's CEO and Publisher Suzanne Kelly sits down with Jason Matheny, Director of IARPA, the research branch for the intelligence community that works on ways to tell the future. In the first part of the interview, she asks Matheny what exactly IARPA does and how it accurately forecasts events. 15 Minutes is a weekly interview podcast with the biggest names in the global security space. This week The Cipher Brief's CEO and Publisher Suzanne Kelly sits down with Jason Matheny, Director of IARPA, the research branch for the intelligence community that works on ways to tell the future. In the second part of the interview, she asks Matheny what keeps him up at night, and if there's ways to predict political instability and unrest. 15 Minutes is a weekly interview podcast with the biggest names in the global security space. This week, The Cipher Brief’s Executive Editor Fionnuala Sweeney talks to the European Union’s Counter-Terrorism Coordinator Gilles de Kerchove. De Kerchove discusses the challenges of keeping the continent safe, following terrorist attacks in France and Belgium in the past year. 15 Minutes is a weekly interview podcast with the biggest names in the global security space. This week The Cipher Brief CEO Suzanne Kelly sits down with Michael Vickers – former Green Beret, CIA paramilitary operations officer and Undersecretary of Defense for Intelligence – about his illustrious career and the security threats that face the next administration.